Type of Tour: Car tour with private english speaking driver. 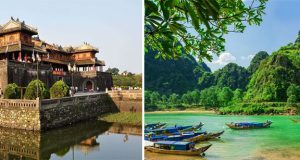 Day 1: We start the tour at 9am from your hotel in Hue with a scenic drive through the Hue Countryside to see picturesque Vietnamese rice paddies and local villages Our first stop is the historic Thanh Toan Bridge. Next stop is the Tomb of khai dinh one of Vietnam’s least loved Emperor’s and its 12th King. The tomb is an enchanted blend of Vietnamese and French design and was completed in 1931. 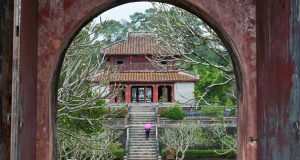 We continue to drive to one of the most magnificent and well-maintained buildings in Hue – The Tomb Of Minh Mang, built for the second king who reigned from 1820 – 1840. The complex was completed in 1843. The complex is set in among 28 hectares of beautiful parks and ponds. 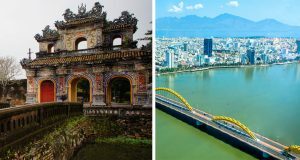 After lunch we continue the tour with Hue’s most famous landmark, the Citadel, the former Imperial Capital of hue and home to 13 Emperors from 1802 to 1945. 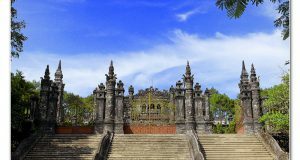 Following on from the Citadel is a trip to one of the tallest religious buildings in Vietnam The Thien Mu Pagoda. Regarded as the unofficial symbol of the former imperial capital. Items of note housed in the pagoda include a 2,000-kilogram bronze bell cast in 1710, and the blue Austin motor car which the Venerable Thích Quảng Đức drove to Sài Gòn in 1963 before immolating himself in protest at the policies of the Ngô Đình Diệm regime. The trip ends around 3pm at your hotel. 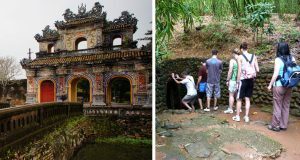 Day 2: After collecting you from your hotel at 9am, we travel to Phu Dien Cham Tower, built by the Cham people more than 1,000 years ago it was only discovered in 2001 due to be being buried under eight meters of sand. 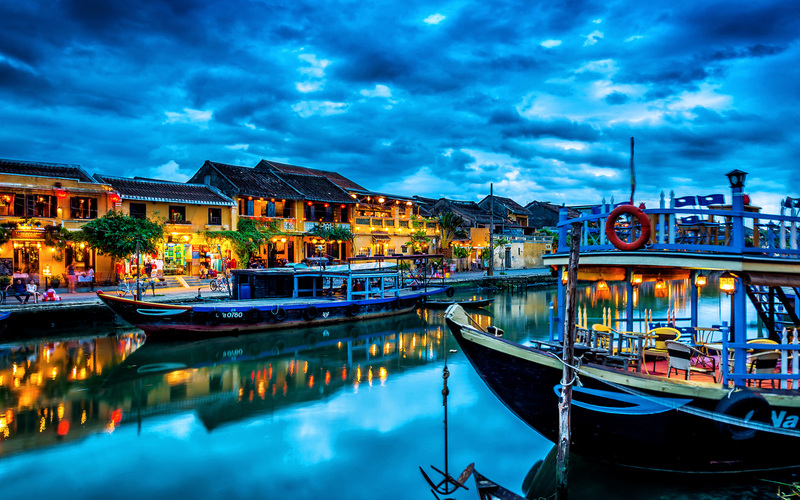 Our drive continues past picturesque villages showcasing some of the best vegetable gardens in Vietnam. 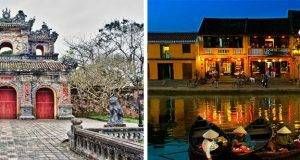 Look out for the colorful and opulent graves named The City of ghosts and family temples lining the road. We break the drive up with a stop at Lang Co Beach, a long stretch of fine sand and blue waters. 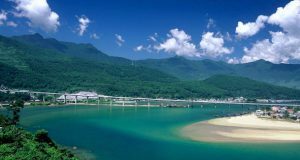 The Lang Co peninsula is renowned for its myths, history and spectacular landscapes. You will enjoy some delicious local fresh seafood as we eat here for lunch. 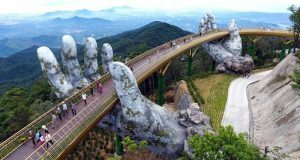 Rather than taking the tunnel we drive along Hai Van Pass, the old highway between Da Nang and Lang Co. You will drive along one of the most scenic hillside roads in Vietnam. 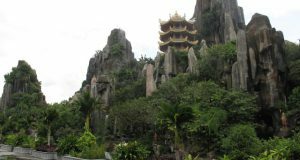 Lastly, we visit infamous Marble Mountains where you will be able to explore the caves and pagodas on top of the mountain. Several Buddhist sanctuaries can also be found within the mountains. Private air-conditioned car with very good english speaking driver who can give information and guide you on the way, tolls, botteld water, all taxes. Tour guide ( inside the tourist sites), entrance fees, hotels,meals, other personal expenses,gratuities (It’s up to you).